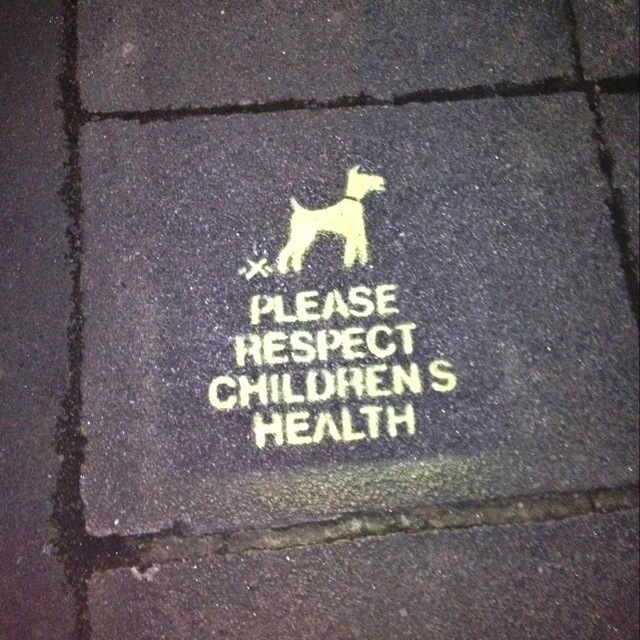 I know that quite a few councils have taken to painting on the pavement to discourage dog fouling. I think I’ve read that some councils also engage in spray painting the poo itself. But it’s only within the last few weeks that I’ve noticed them appearing in my neighbourhood. This 1,555th post was filed under: Photo-a-day 2012, Newcastle-upon-Tyne.